F100 series programmable frequency generators have been in production for 16 years. We now offer 5 models from the F112 board to the new F175 arbitrary waveform generator. All models in the F100 series are highly programmable hardware devices that can be pre-programmed from your computer and then run those programs standalone. They are programmed by the simple F100 programming software to output frequencies you enter via text files and then copy to the generator. 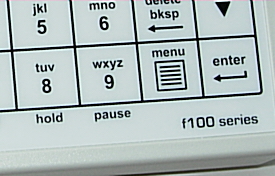 You can also create/edit programs in standalone mode with the keypad. The F100 software gives you full control over the frequency, duty cycle, sweep, loops, gating/modulation and many other parameters described in the user guide. The F100 DDS hardware frequency generator module generates precise, crystal referenced frequencies. Intended for any application that requires fully programmable frequencies.